CMS Cepcor™ has developed a range of aftermarket crusher spares to suit Gyrasphere and Gyrasand cone crushers manufactured and supported by Blaw Know, CFBK, Hadfield, Osborn, Pegson, Extec and Telsmith®. 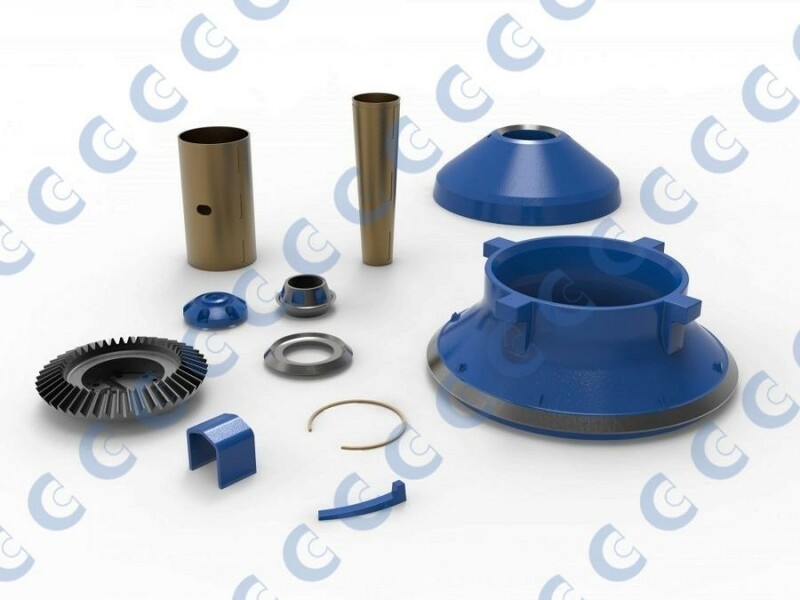 The CMS Cepcor® product range includes crusher spare parts and wear parts to suit the entire range from 24″ to 66″ including the classic B’Style and D’Style Gyrasphere cone crushers that are no longer manufactured along with the newer 38″ and 44″ SBS cones. CMS Cepcor® stock sphere head and shaft assemblies, inner and outer bronze sleeves, eccentrics, bevel gear and pinions and rotary seal rings along with all the associated ancillary spare parts. CMS Cepcor® have built a worldwide reputation as Gyrasphere and Gyrasand cone crusher experts establishing a substantial and loyal customer base that rely on our large stock holding of replacement spares. All CMS Cepcor® compatible parts to suit Telsmith built crushers are manufactured and warranted by CMS Cepcor®.